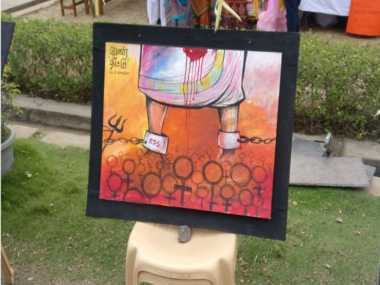 A major controversy erupted on Monday over some paintings at an expo in the premier Loyola College which allegedly showed Hindu symbols, the BJP and Prime Minister Narendra Modi in bad light. 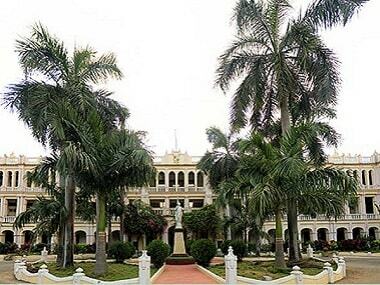 Chennai's Loyola College on Monday apologised for a controversial art exhibition on its premises, which the BJP and other parties of the right wing alleged was an attempt to malign Prime Minister Narendra Modi and the nation. 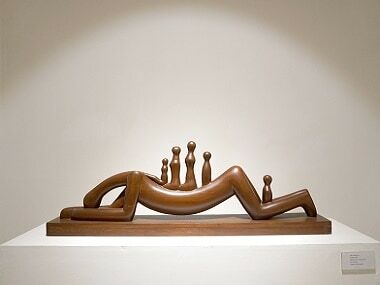 The Valley, at one time, was home to a thriving cultural space; it is this space that the organisers of Concourse — an exhibition held in Srinagar — are trying to revive. 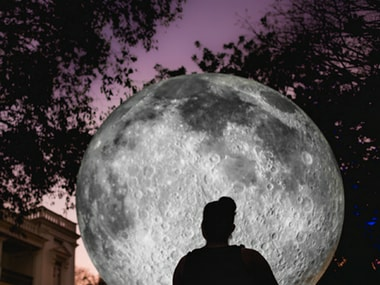 A touring artwork, the 3D installation of the moon has been made using imagery from NASAs Lunar Reconnaissance Orbiter Camera, one of the exhibition organisers said. 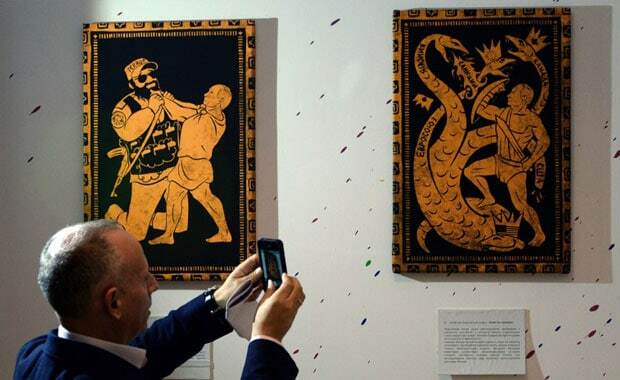 To celebrate the occasion, an art exhibition in Moscow decided to portray Putin as the demigod--Hercules. 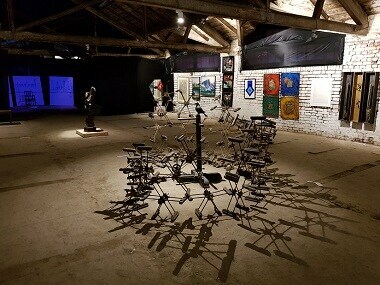 As a part of "Fear Google" campaign, Cory Allen Contemporary art gallery (CACA) will display the naked photographs of actress Jennifer Lawrence and model Kate Upton that were leaked earlier this week, in an art exhibition.